Before you can develop or deploy applications for Azure Sphere, you must first set up your board and install the software. Visual Studio 2017 Enterprise, Professional, or Community, version 15.7 or later. To install Visual Studio, select the edition to install, and then run the installer. You can install any workloads, or none. The development board connects to a PC through USB. When plugged in, the board exposes three COM ports. The first time you plug in the board, the drivers should be automatically downloaded and installed. 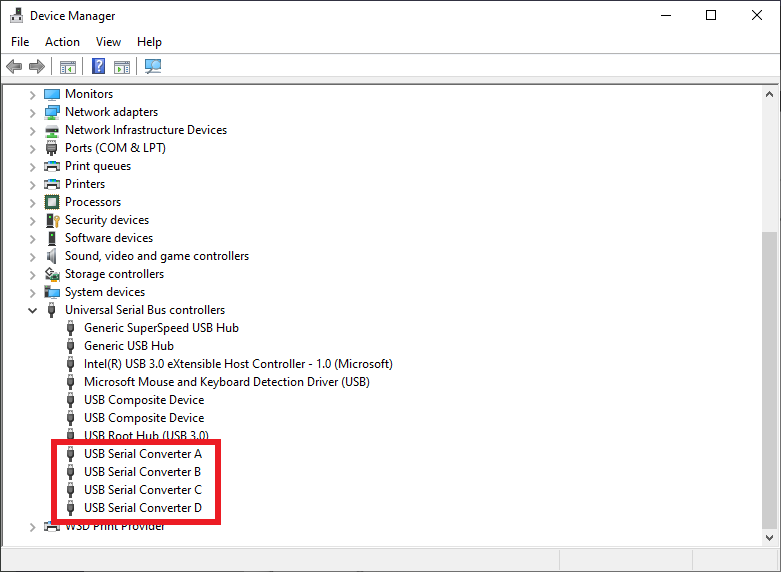 Installation can be slow; if the drivers are not installed automatically, right-click on the device name in Device Manager and select Update driver. Alternatively, you can download the drivers from Future Technology Devices International (FTDI). Choose the driver that matches your Windows installation (32- or 64-bit). To verify installation, open Device Manager and look for three COM ports. The numbers on your COM ports may be different from those in the figure. If other errors occur, or if you see fewer than three COM ports, see Troubleshoot Installation for help. 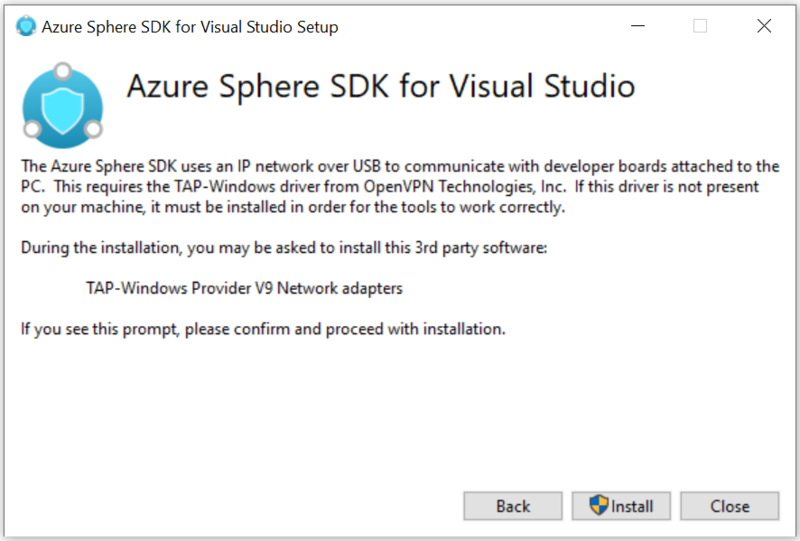 Azure_Sphere_SDK_Preview_for_Visual_Studio.exe installs the complete Azure Sphere software development kit (SDK). 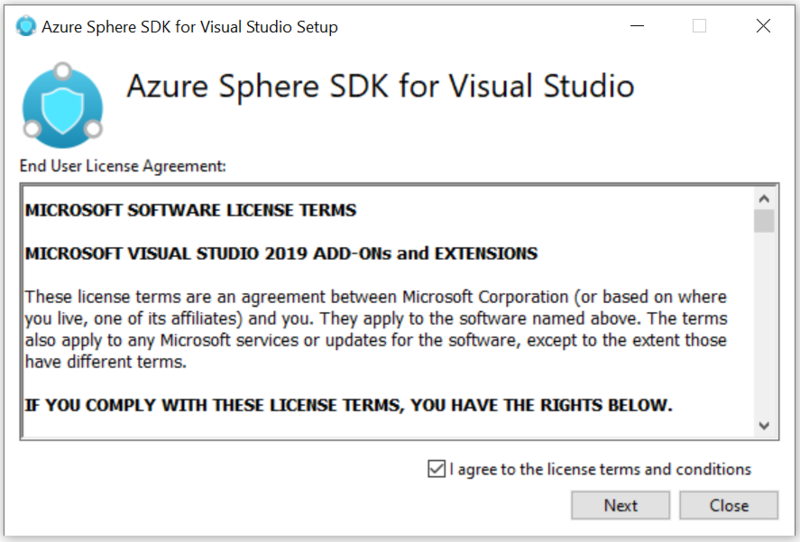 Download the Azure Sphere SDK Preview for Visual Studio from Visual Studio Marketplace if you have not already done so. Save the downloaded file on your PC. Run Azure_Sphere_SDK_Preview_for_Visual_Studio.exe from the download to install the SDK. Agree to the license terms and select Next. If the message "This product requires Visual Studio 2017, Version 15.7 or newer" appears, ensure that Visual Studio 2017 version 15.7 or more recent is installed on your PC. The message "No product to install SDK on" may appear if you do not have Visual Studio version 15.7 or newer installed, or if you have just installed Visual Studio for the first time. If you see this message, either update your Visual Studio installation if necessary or restart your PC and return to this step. Accept the elevation prompt if one appears. When setup completes, restart your PC if the setup application requests it. The SDK is installed to all compatible editions of Visual Studio on your PC. The SDK requires Visual Studio version 15.7 or later. If the installer returns errors, try uninstalling and then reinstalling the tools. To uninstall the tools, rerun the installer or use Add and Remove Programs in Settings.